In most cases, foot surgery is often chosen as the last-available option for otherwise unsuccessfully treated conditions. There are several situations indicating surgery as the best option. Removing foot deformities (e.g. 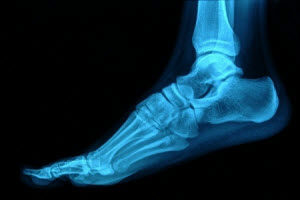 bone spurs or bunions), arthritis problems, reconstruction due to injury, and congenital malformations (e.g. club foot or flat feet) are just a few. Regardless of one’s age, different types of foot surgery may pose the only successful option for treatment for certain conditions. The type of foot surgery one undergoes depends on the type of foot condition the patient has. To remove a growth, such as a bunion, a bunionectomy is necessary. If the bones in the feet need realignment or fusing together, surgical fusion of the foot may work best. For pain or nerve issues, a patient may require surgery removing tissues surrounding the painful nerve. Initially, less invasive treatments are generally attempted. Surgery is often the last resort if other treatments prove unsuccessful. However, choosing surgery comes with certain benefits. Surgery often eases the associated pain patients experience in relation to the particular condition. This allows patients to resume daily activities fairly quickly. The greatest benefit, however, is that surgery generally eliminates the problem immediately. Podiatry history has shown that foot treatments continue to evolve over time. In the field of foot surgery, just one of the many advancements is endoscopy. As technology vastly improves, so will the various techniques in certain types of foot surgery. They already require smaller and smaller incisions with the use of better and more efficient tools. Thanks to such innovations, surgery is no longer as invasive as it was in the past. This allows for much faster and easier recoveries.